One of the best selling business jets of all time, the Cessna Citation V Ultra combines impressive take-off and landing performance with a generous range. Offering larger-jet amenities such as a full refreshment center and a fully-enclosed aft lavatory, the Cessna Citation V Ultra is capable of accommodating six passengers. 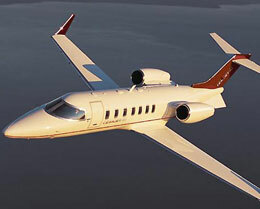 The Cessna Corporation built the Citation V Ultra by taking the best qualities that the Citation II had to offer and improving them to yield a more luxurious aircraft. With a longer fuselage, upgraded engines, a redesigned wing, and updated avionics, it is no wonder that the Citation V Ultra very quickly earned its place in the industry. 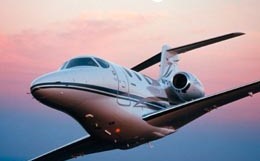 Production on the Citation Ultra started in 1994 and ended in 1999. 270 aircraft have been built so far. 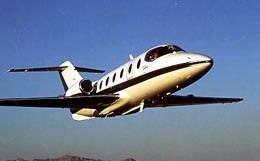 The Citation V Ultra is usually configured to accommodate eight passengers but can be rearranged to seat as many as eleven. The cabin of the Citation V Ultra has the longest cabin in its light private jet class and measures 17.3 feet long, 4.8 feet wide, and 4.6 feet in height. This private business jet offers 63 cubic feet of storage, capable of stowing roughly 1,450 pounds of baggage to meet all of your luggage needs. Fourteen windows surround the cabin, allowing for a bright and relaxing atmosphere. With a 5 inch dropped aisle, the walkways allow for 55.3 inches of standing room for customer comfort. The engines of the Citation V Ultra produce enough power to support the anti-icing, cabin pressurization and air conditioning systems. The Citation V Ultra comes equipped with two Pratt and Whitney JT15D-5D turbofan engines. Each engine is rated to produce 3,045 pounds of thrust, largely contributing to the impressive performance specifications of this private business jet. Even when loaded to its maximum take off weight of 16,300 pounds, the Citation V Ultra needs only 3,200 feet of runway to take off on a standard day. At its maximum landing weight, this private business jet requires less than 2,200 feet of runway to land on a standard day. 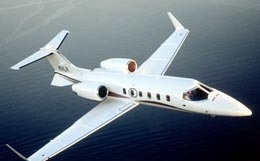 For a swift flight, the Citation V Ultra is capable of maintaining 426 knots at a comfortable altitude of 37,000 feet in a high speed cruise configuration. For a flight to a further destination, a long range cruise speed of 374 knots is maintained at the Citation V Ultra’s maximum certified service ceiling of 45,000 feet. The Citation V Ultra comes standard with a Honeywell Primus 1000 avionics suite. Instrumentation included in this avionics package are left and right side Primus II radio management units, dual Primus II radio audio control panels with digital audio buses, dual Honeywell mechanical and vertical gyros, a Primus 1000 digital flight guidance system, a Primus 650 weather radar, Coltech SELCAL, a Fairchild FDR, an AA 300 radio altimeter, dual digital air data systems, an Artex ELT 110-4, and a Loral/Fairchild CVR. Optional upgrades include an HF transceiver, AlliedSignal Global Wulfsberg AFIS, and AlliedSignal TCAS I, II, and GPWS. This advanced avionics suite utilizes three eight inch by seven inch CRT screens to include primary flight displays (PFDs) and a center multi function display (MFD). In addition, most panels have been updated to include traffic and terrain avoidance systems. To improve pilot hand-eye coordination and decrease complexity, relevant controls are directly on the screens faceplates. For more information about chartering, leasing or buying a Citation Ultra please contact us by calling +44-20-3874-8091 or send us an email here.